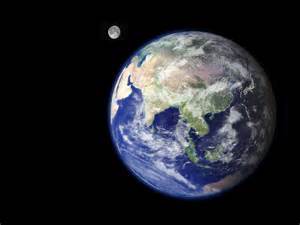 As I reflect upon the earth, I think of all the amazing photographs from space. What spectacular sights the astronauts have seen. From John Glenn first orbiting the earth; Neil Armstrong, landing on the moon with the famous quote, “One small step for man, One giant leap for mankind.” and Scott Kelly orbiting the earth for a year. How many absolute awesome mornings and nights they experienced! The Bible begins with God’s creation of the heavens and earth. In Psalm 8: 1-3; the creation of Earth is expressed. O Lord, our Lord, how majestic is your name in all the earth. You have set your glory in the heavens. When I consider the heavens, the work of your fingers, the moon and the stars, which you have set in place. Hymns also give us the joy of singing about God’s beautiful earth. This is my Father’s world, And to my listening ears, All nature sings, and round me rings, the music of the spheres. This is my Father’s world: I rest me in the thought, Of rocks and trees, of skies and seas; His hands the wonders wrought. O Lord my God! When I in awesome wonder; Consider all the works Thy hands have made. I see the stars, I hear the mighty thunder, Thy pow’r thro’ out the universe displayed. Then sings my soul, my Savior God to Thee; How great Thou art, how great thou art! Then sings my soul, my Savior God to Thee, How great Thy art, how great Thou art! In March I was looking at the full moon and noticed how close Jupiter was to the moon. The night sky was shining so brightly. It was a beautiful sight. Take time to look up and enjoy the beauty of the night sky.